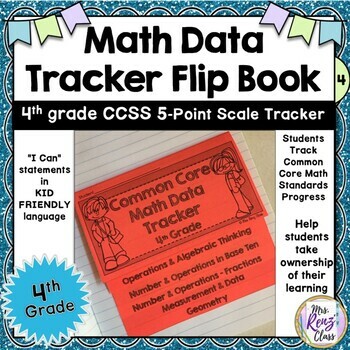 This fun foldable Common Core math flip book prints on 3 sheets of paper back-to-back and allows students to track their standards progress using student-friendly "I Can" statements. This flip book uses a 5-point rating scale (similar to Marzano). The five descriptors are Novice, Apprentice, Skilled, Master and Expert. There is another set that has a numbered scale (1-5) without the word descriptors so you can use your own rating scale. 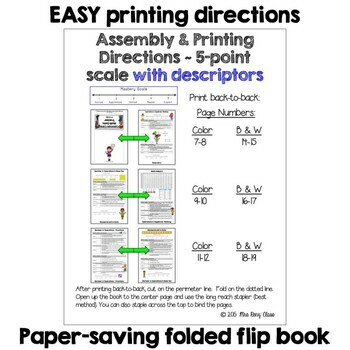 If you are looking for a 4-point scale math flip book, CLICK HERE.. 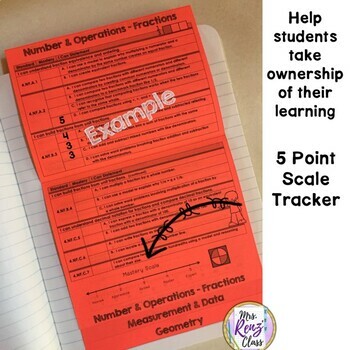 This is the perfect addition to your interactive notebook or math journal to allow students to track their progress towards standards mastery. The flip book has 15 pages of PDF materials and comes in color and also black and white and includes simple printing directions. See the visual preview to view close-ups of the pages in this great flip book!